Here we go again… ten more movie reviews! A beautiful, smart, though-provoking work of science fiction. Arrival sees twelve mysterious pods descending upon seemingly random locations on Earth, and linguist Louise (Amy Adams) is tasked with discovering what these visitors want and why they’re truly here. This film is definitely slow to start with, but builds with mystery and tension as it progresses. I was shocked (and pleased) by how the film ended, and felt like I had just watched a sc-fi classic. The performances are outstanding, the story is compelling, and Denis Villeneuve’s direction is precise. 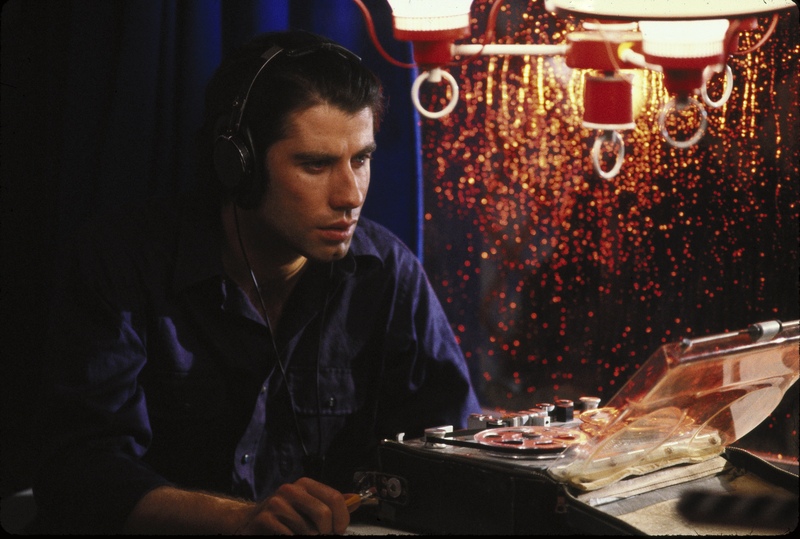 A stand-out film from Brian de Palma, Blow Out centers on Jack Terry (John Travolta), a sound recordist who is trying to find the perfect scream for a horror movie he’s currently working on. After witnessing a gruesome blow out during a night of recording, Jack becomes enmeshed in a twisted conspiracy and a media firestorm. Travolta is fantastic as Jack, but Nancy Allen’s performance as Sally, the woman Jack saves, was grating and got on my nerves. The plot is excellent, as is the direction and cinematography. This is a brilliant film that is only let down by the performance of its central female character. Terry Zwigoff’s adaptation of Daniel Clowes’ graphic novel is a biting, colorful, and surprisingly emotional cinematic experience. The story follows Enid (Thora Birch) and Rebecca (Scarlett Johansson), who have just graduated from high school. They’re bored, so one day they decide to play a prank on a man named Seymour (Steve Buscemi), who has listed an ad in the classifieds of the local paper, trying to find a mysterious woman he met. They pretend to be this woman, and lure him to a local diner, only for him to be stood up by the woman he thought he was meeting. Enid starts to feel guilty, though, and strikes up a friendship with Seymour. I loved the performances, and thoroughly enjoyed how the character arcs for Enid and Rebecca changed as the film went along. Seeing them transition from bratty teenagers to mature young women who start to grasp who they really are was wonderful. Steve Buscemi added a beating heart to the film, adding empathy and nuance. The cinematography is stunning, and the dialogue is witty. A gem of a film that deserves more love. Check out my review of It Comes at Night for my full thoughts! A beautiful, moving historical film, A Royal Affair follows Caroline Mathilde (a luminous Alicia Vikander) as she is betrothed to King Christian VII (Mikkel Boe Følsgaard). Christian is horrific, and Caroline feels trapped in a loveless marriage. She soon falls for their new physician, Dr. Johann Struensee (Mads Mikkelsen), which quickly ushers in severe consequences. The performances are what make this movie shine. Vikander is brilliant as Caroline, painting her as a woman who is frustrated with the path her life has taken her on, but still portraying her as likable. Mikkelsen is heartbreakingly wonderful as Dr. Struensee, while Følsgaard portrays King Christian VII in an incredibly abrasive, grating way. The costumes and set designs are lavish, and the story moves along at a slow, yet fascinating, pace. A sumptuous treat. 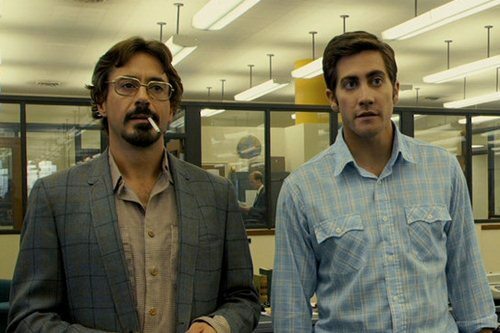 Based on Robert Graysmith’s novel, this film follows the case of the Zodiac killer, a serial killer who evaded the police and left the nation intrigued (and terrified). David Fincher’s directorial style is brisk, in-depth, and focused on the people who were trying to crack the case of the Zodiac killer. Jake Gyllenhaal, Robert Downey Jr., and Mark Ruffalo are brilliant, and even though this film is over two and a half hours long, it flew by in the blink of an eye. A gripping, absorbing film that demands to be watched. Robert Rodriguez’ first film, El Mariachi follows a, well, mariachi as he tries to find a job. The problem? There’s a killer who dresses in black and carries a guitar case filled with weapons, whom he’s confused with. He then has to run for his life. Can’t a guy just play his guitar in peace?! Geez. For a debut film that was made for $7,000 and completely directed, edited, written, and produced by the director himself, this is a solid first film. It’s entertaining, and you care about the mariachi. Sure, it’s rough around the edges, but it’s one hell of a ride. The second entry in the badass John Wick franchise, Chapter Two finds our titular assassin pulled back into the underworld that he has fought so hard to disassociate himself with. This time, he’s more pissed off and prepared than ever, and carnage and claret flows freely. A top-notch action/thriller with a hell of a turn from Keanu Reeves, this movie begs you to watch it, while dazzling you with its beautiful aesthetic and gut-punching you with its combat. The sequel to El Mariachi, Desperado follows the mariachi (now played by a babe-a-licious Antonio Banderas) as he seeks vengeance for what happened in the previous film. Full of awesome celebrity cameos, gory deaths, balls to the wall combat, and guitar cases that aren’t as they appear, this is a hell of a ride. Based on Fredrik Backman’s bestselling novel, A Man Called Ove is a faithful adaptation that still manages to tug on your heartstrings. The film follows Ove (Rolf Lassgård), a man who wants to commit suicide after his beloved wife Sonja (Ida Engvoll) passes away. As he attempts to take his life, though, his neighbors start to pester him. As the film rolls along, Ove’s life is unraveled via flashbacks, and it becomes apparent why he’s so grumpy and committed to taking his own life. But this isn’t just a film about someone wanting to die. A Man Called Ove is also about family, friendship, and ultimately, how our lives shape us into the people we are today. Absolutely beautiful and heart-wrenching. Grab tissues.